I recently caught up with Dominic Khoo, founder of The Watch Fund to find out more out his extraordinary passion for horology and the basis the Watch Fund, an investment platform where your portfolio is investment-grade watches. 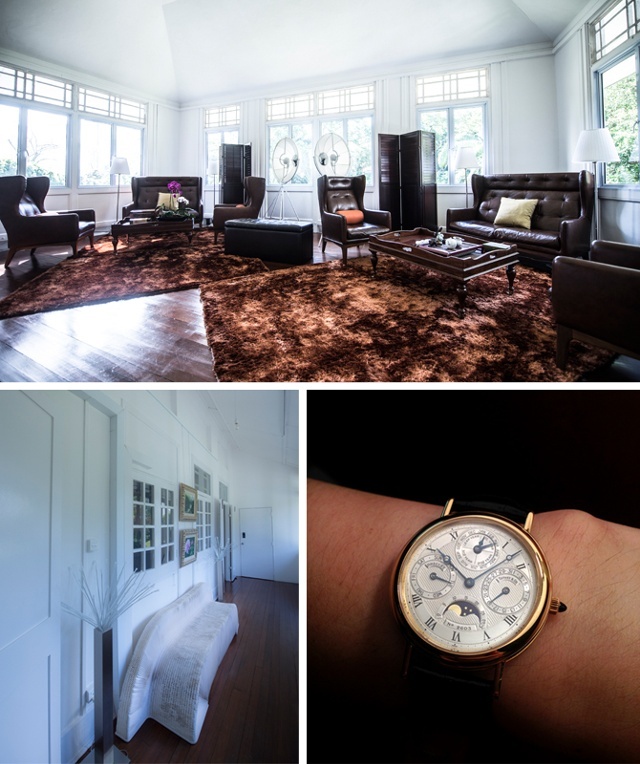 Khoo’s infatuation with timepieces started when he was faced with a decision for a graduation present – a car or a watch. Khoo chose the latter and never turned back. Becoming obsessed with watches in every aspect, he spent hours collecting every bit of horological knowledge he could get his hands on while working with auction houses, watch brands and luxury publications. 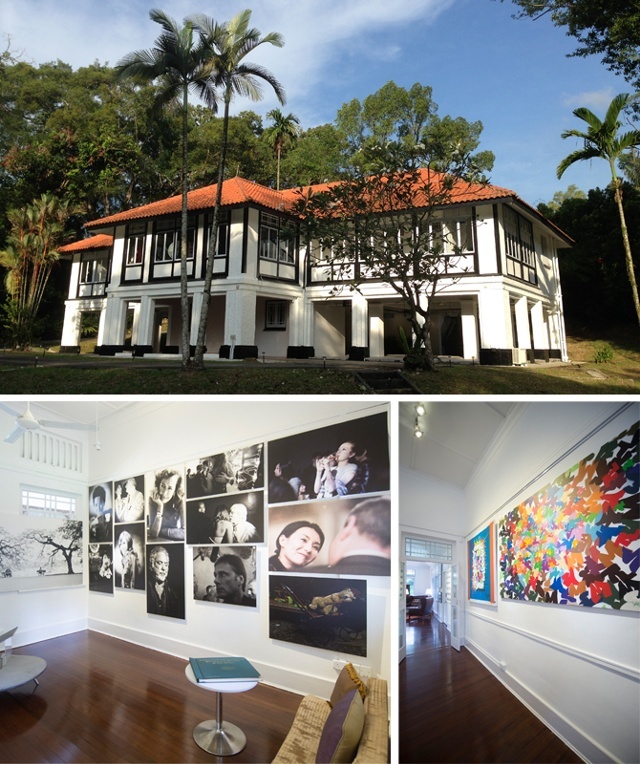 Today, Singapore-based Khoo selects extraordinary portfolios of timepieces many can only dream of. Interested? With a minimum investment of $250,000, The Watch Fund promises to have your portfolio of investment-grade watches to you in ninety days. 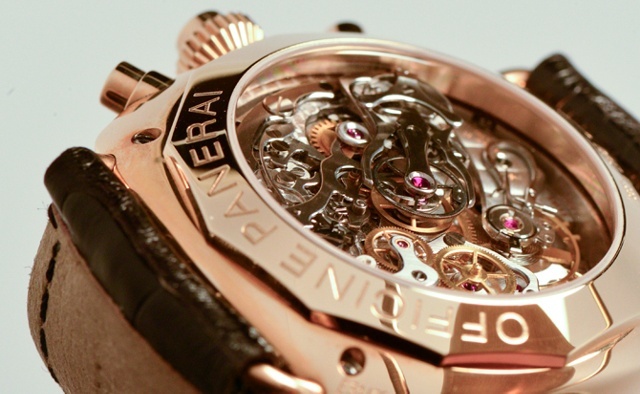 According to The Watch Fund’s website, While typical investment in most structures results in a piece of paper being held by the investor, The Watch Fund has the unique position of the investor holding and wearing the full value of his / her investment in watches from day one. The Watch Fund is kind of like a stock exchange, says Khoo. We know what’s for sale, we know who has the pieces and we know which pieces sell. We can create the environment for people to buy and sell through us. For details, see www.thewatchfund.com. How were you introduced to watches? DK: A camera was given to me on my 28th birthday to take pictures of watches on my first trip to Basel, Switzerland. So Prestige Magazine asked me to be the contributing editor for the watch supplement and I had no camera. So my mother said for my 28th birthday, I am going to buy you a cheap SLR for about $1500 for your birthday and you can go take pictures of watches while you are there. Before that I had never picked up a camera so during that two weeks shot over 15,000 pictures of watches and I was hooked on photography. Some pictures were published and some people stared calling me a photographer. For a while people just thought of me at a photographer not really a watch expert. So the Watch Fund is primarily interested in making investors money by using watches. There are two different groups of people the watch fund talks to the people who love watches and the people who love money. The two groups of people that come to the one group don’t like watches at all but they are just people that like the idea that when they give us money we immediately give them watches to hold and keep. Because they get back just a piece of paper that the company is just holding onto their money for them and with us this is the first time they are actually holding on for $250,000 worth of watches from day one. It eliminates a big issue of trust because if you never met me before, we are a new company and not worth 50 or 100 million dollars like the mobile and you would think how do I trust these guys. So this is the first time the trust issue is not a problem because immediately you are holding on to your entire investment, you’re using it, you’re wearing it or at least locking it up your own safety deposit box and I think this helps a lot. There was actually another company that started a fun with wine and other passion investments and they shared in a pool of watches that they never saw or touched. I think people didn’t like this very much because they didn’t get to wear the watches and they didn’t get to wear their investments. Depending on which pieces are in their portfolio they could invest in $250,000 but the retail price could easily be $500,000. The Watch Fund really makes money only when they sell the watches that they are holding onto, so if they make money then we make money. So in order to do that we have to choose the watches for them. There are four different types of watches that we acquire, what we call investment grade. So some of them will be queue-cutting pieces, that means there is a long queue for these pieces we could be one of the ones in the queue to get it and that could be come an investment grade. If could be watches that are long time out of production and we know the people who have these pieces and saved a long time and that are possibly committing to sell. Some of the pieces can be provenance pieces that are typical worn by royalty or historical figures. There is also the category of watches that we can get at a price that no one else can get in at. These are different categories of watches and they could be new, second-hand, independent watches for them to be investment grade. Very often you have a vault queens and these are watches that people bought 5-years ago thinking that it could be a good gift for somebody or thinking it would be worth a lot more money in the future so they bought it and kept it sealed in a bag in the safe and 5 years later they are just tired of watches, they leave watches and all the sudden you have a brand new watch 5 years old and out of production which has never been worn before! We actually form a portfolio of watches for investors that will make them money so choose the watches so that they can make the money. After a year of owning the watches or keeping the watches by themselves we, The Watch Fund, call them with an offer to sell with a profit and they can decide whether they want to take it or not and if they do we take a 5% fee. Where do you source the watches for your portfolio? All around the world – we buy from everyone in our network. Sometimes or most the time we don’t buy under our own name because if everyone know all the sudden that the Watch Fund is buying it would effect our prices or so very often we buy annomonously or through our network and then eventually it will end up in our hands. Right now we spend more than $16.5 million USD on watches – we are not the biggest but I think we are okay. Even at that level and although we are not that big we still get people asking – geez you are buying only watches? So all of the sudden this year just one guy going into a watch buying this, this, this and that, that that, you get a lot of attention and that not good. It means people know you are coming with money and you don’t get the best price. Two people have come to us recently to open up a branch in Newport Beach and Geneva. Our Geneva office is starting up right now and there are still discussions about Newport branch so nothing is confirmed yet. The US is a great market. Very, very friendly and very knowledgeable people and a very, very sophisticated market with money and savvy investors as well. We have a lot of stuff that I think is fun. We have the world’s first Richard Mille that Richard produced as a prototype before he even started the brand. We recently bought the watch from Josè Mourinho the coach at Chelsea being the most famous football coach and the first to design a soccer chronograph and we managed to get the watch he wore during all the games and at press conferences. One of our investors is holding onto a watch previously worn by President al-Assad and we have a unique piece of a Patek Philippe Sky-Moon Tourbillon. These are some of the fun stocks that we have – a lot of prototype pieces and piece number one and I guess our portfolio right now is spread out among our investors and we have more than a 100 pieces. I guess we are just having a lot of fun right now because everyone is just wearing all these watches everyday. So some people have cashed out after 6 months and earned a 15% return. Some people have cashed out and then later they came back in and some reinvest straight away. Either way, sooner or later they come back to us because I think it is a time that money in the bank is losing to inflation and almost no other investment can people so called wear it or use it from day one. We are very safe and there is a lot of trust and I think that is what people like about us. How do you safeguard the portfolios in a volatile market? It’s a matter of getting the pieces that don’t get affect during a recession and at the right price. So we always say that in a recession the rich get richer, the poor get poorer and the middle class get hit bit time. I think that people need to understand that at the end of the day, its ironic, but if you try and spend money on a mass-market watch because there are so many around and because they made so many and because there are so many people along the road that so called can afford it. So then the position becomes that a lot of people are stuck with the same watch and the prices are affected. But if you go after the really well-made, high-end, ultra complications which are really well finished and the really rare piece, most of these pieces will never leave collections because the people collection them could be Queens or heirs and they don’t need the money, so the price doesn’t go for what they want they just won’t sell it. So even during a recession you can’t buy it from them on the cheap. The fact that there are more watchmakers coming out of school today however there are actually fewer skilled watchmakers at the highest level. The highest level is where we are really seeing the most complicated watches finished at a very high level compared with the past. I always say you have to buy the things that are incredibly hard to make and are rare. Sometimes it is not even about the money it is about the access and how to find the pieces. Is there one piece that you are seeking out? There is a rumor that Franck Muller produced a Rolex Perpetual calendar as his graduation watch. It is the first time the word perpetual on a Rolex means perpetual. I believe that he managed to get Rolex to give him a piece and he put a perpetual calendar mechanism on it making it the worlds first annual Rolex Oyster Perpetual Calendar. I have been collecting watches for 14 years and over the last 10 years I have realized that after wearing the watches and trying to sell them to upgrade to better stuff I actually made money on it. I told my friends to do the same and after some time we all bought watches we were all making money off all of hem and said we have to start a fund. If we only had this vehicle 35 years ago we would have been buying DuFour’s at $35,000 or Lange at $20,000 or the Paul Newman prototype at $100,000 Patek 5070 for $30,000 – super cheap! 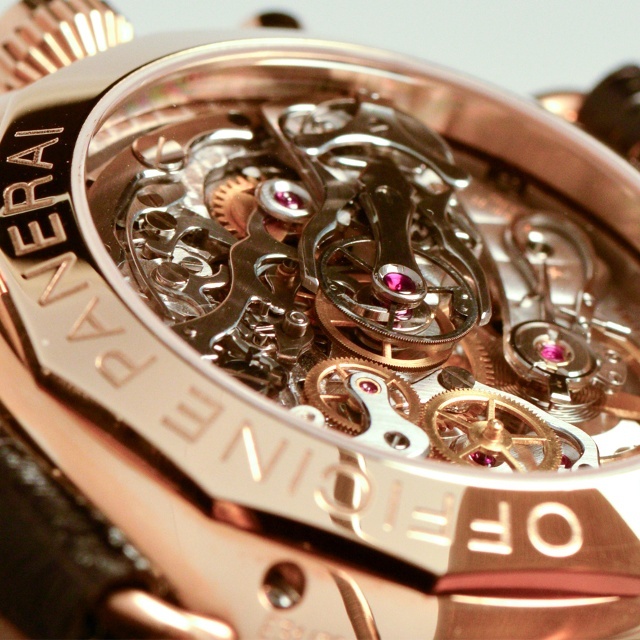 Do you seek out watches from rookie watchmakers? Yes, we do. 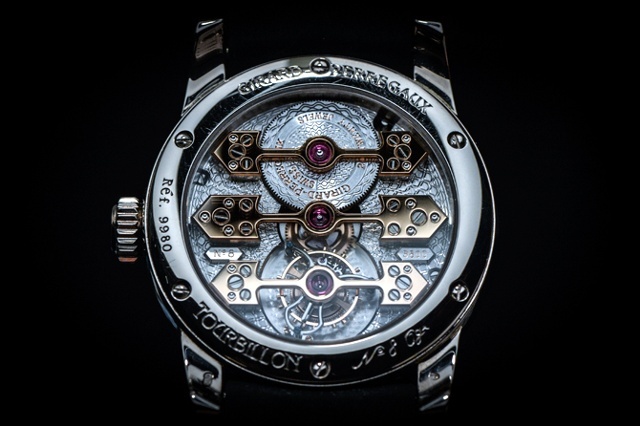 I guess this is a benefit to being a watch expect being able to take a watch apart, look at all the part and understand how much work goes into it and understand what level of craftsmanship these guys are at and understand where these guys are going to go in the next few years, I guest that is our greatest strength. We have a lot of people who have money but to really understand this and then be able to buy at the right price and exit timing that is the difficult part. Is there special access to watches or events for clients? Do you have any advice for watch collector looking to add to their collection? It is very simple. Always buy craftsmanship, always. You have to buy watches at the highest level because at the end of the day you have a piece of the craft. In 1969 when the quartz revolution came in, many watchmakers lost there jobs, lost there lives, their children had no money for education as a result many told their children not to become watchmakers and many watch companies closed down during this time along with this many crafts and many skills were lost. If you can afford it and if we don’t buy the watches at the highest levels means that the less demand for these guys to make watches like this in the future means one find day we are going to pay a lot of money for poor quality watches. Pay for craftsmanship. Are you still shooting photography? I am shooting a lot for fun recently. I was asked to photograph a couple celebrities recently in Singapore. I guess it’s a case of shooting what I feel like shooting and what I feel is the right thing to do. I am not really shooting for money anymore, previously I did a lot of that, I guess with my art gallery I am building my own and collecting more art that I like and I am shooting when I feel like shooting. Sometimes it’s a really an adhoc kind of thing – I am shooting just for fun.